YES! 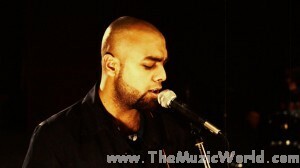 the very famous JAL The Band and with Gohar Mumtaz, Farhan Saeed and their third bassist Shazi got separated. This is not new with this band since the beginning. 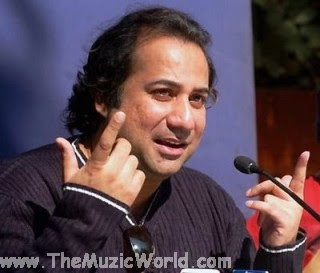 From the starting days with a wonder hit Aadat and band members Atif Aslam and Gohar Mumtaz, the band got into all sort of controversies and both Atif Aslam and Gohar Mumtaz played the blame game and got parted ways just after 1 song and video. 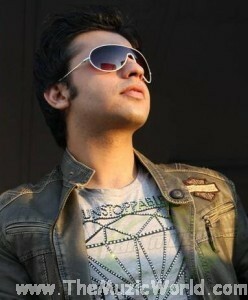 Both Atif Aslam and the remaining Jal The Band released their albums and become an instant hit in Pakistan and abroad. After their first album release yet again JAL the band came into the news for all the wrong reasons. This time they had a fight with their manager and chairman of the Jilawatan Productions Khurram Khan and Gohar Mumtaz again. Gohar insisted the band to visit India without their manager since he cannot afford to miss this golden opportunity. And now its between Farhan Saeed and Gohar Mumtaz. We have been told by the sources that Farhan Saeed is quite upset with the fact that Gohar Mumtaz is acting as a big hurdle in his success and keeping him down. Farhan Saeed having a charming voice with amazing numbers coming out from his side since his inclusion in the band however Gohar Mumtaz always jumped in with his rather out of tone voice and shivering guitar cords. Both Farhan and Goher recently participated in Coke Studio’s season 4 with 2 songs under their name. However both songs unable to make any impression within the program itself and gone with the wind. According to sources the rift between the band members got to another level after the Coke Studio episode and in Farhan’s opinion Gohar never listen to his ideas about doing music instead he was more interested into to get with Miss Baloch and therefore he insisted the producer to add her up for a song. However Farhan told us with a grin that QB was a smart girl and she knows well the type of Gohar Mumtaz. Farhan said he think that we can do allot better in Coke Studio if he gets more air time with the mic. Another major reason for Farhan’s depart is that Gohar has recently appeared in a drama on a-plus and he want to persue a career in acting as well. Farhan said he want to continue making music and would like to work on his solo album in some time. He added that he has cherishable memories with the band and JAL the band was his identity and he will be always close to his heart. But it is very hard to work with a self centered punk as Gohar Mumtaz and that leads me to this decision. Disclaimer: The Muzic World is not responsible for the news at it is shared from the source which is given. Never the less Team PMR would research on this news and also try to give out comments on Farhan Saeed and Gohar Mumtaz on this news to its viewers. (asking) who will tell an ancient tale? O, may you live you long! live long, lords of the Baloch land, live long! rise up! my precious pearl! my lion! O newly-sprouted and newly-whiskered youth!